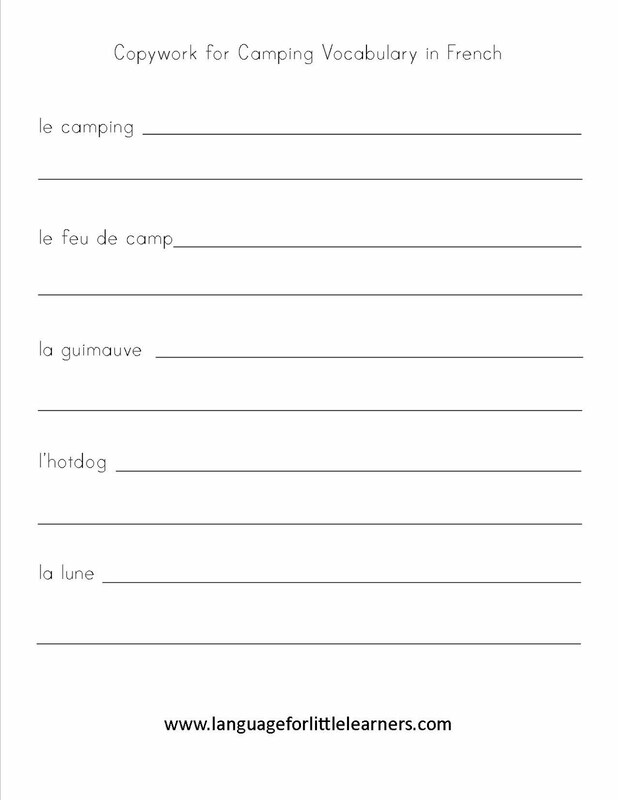 Above are 2 copywork pages that your children can use for practicing their new camping words in French. These are for manuscript writing. 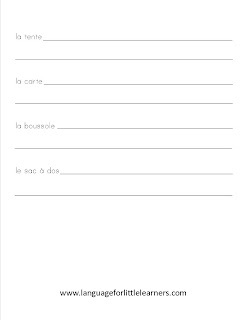 Click on the pictures above to open up a new page that you can print from. 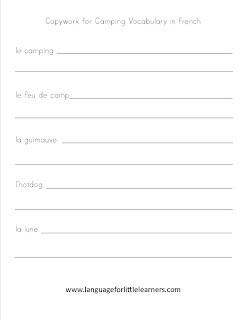 Tomorrow I will upload some for cursive writing. 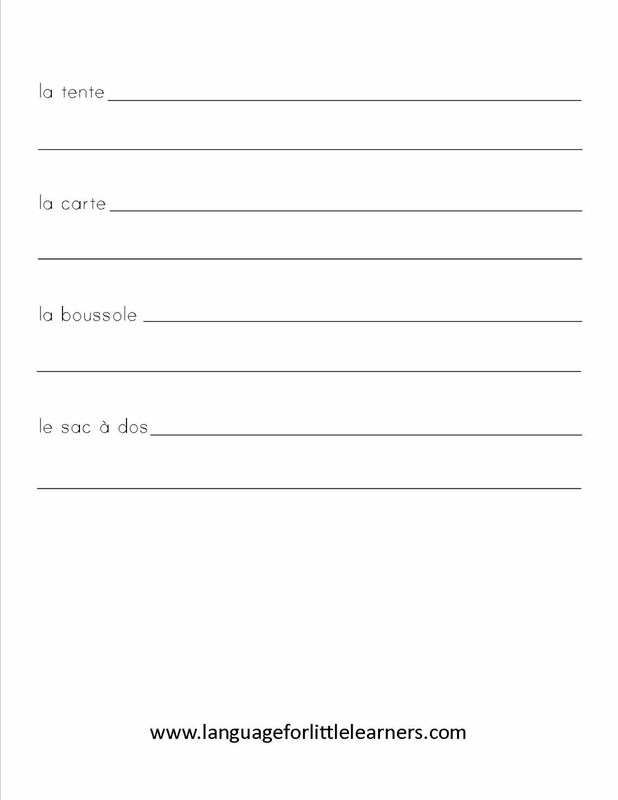 The cursive will be geared to American cursive style as the French cursive style is much different and much more loopy. I hope everyone has a good weekend!